What a funny little wild thing! He makes me smile. Well, that's taking an original angle on Valentine's day! Hehehe! Love your Gorilla valentine, Mary! hahhaha..wild thing indeed....so cute! happy valentines day! Today I get to share my birthday with the whole world including my Ruby Tuesday friends. Happy Valentine's Day to you and your furry friend! Happy Vday....check out my wild side...lovely. Cute thing. Happy Valentine's Day. Nice that Ruby Tuesday coincides with Valentines celebrations. Enjoy the day. Sorry for posting a second link. Somehow the first one (#38) linked to an older post. I'd delete that one if I knew how. Hi, Mary..Cute little wild thing. I love caring and love a gorilla. Such a fun, creative Valentine's Day card! Hope your day is a great one! You are such a wild thing, Mary! Happy RT and Valentine's Day! Happy Valentine's day to you too ! Valentine's Day is long gone here. So I'll wish you well for 2012! Happy Valentine's Day Mary! Hope you had a nice one! Mary, I linked two again. Is that ok? 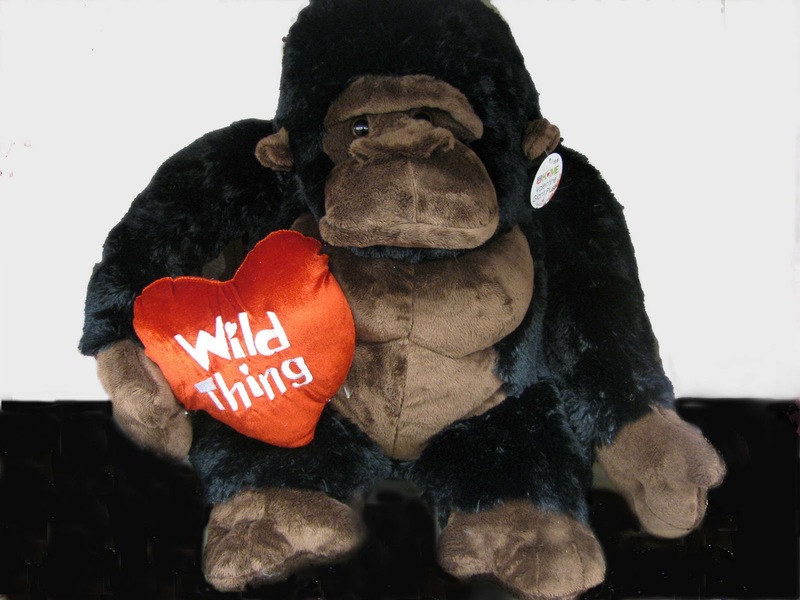 Love your Valentine's ape. He is such a wild thing! happy valentines day...my entry is up. cheers! Hope you had a Happy Valentine's Day Mary. Love the little guy! I hope you had a wonderful Valentine's Day Mary! Have romantic days all through the year, everyone!! That is a sweet photo! For my link, I made a mistake, the correct link is the second one, if I can link up again. This is an image of the wall division ( in a heart shape) at one of our favorite Italian restaurant's that happens to be voted the best in the county for several years! Happy Valentine's Day. Thanks for your card. Thanks for sharing the joy. 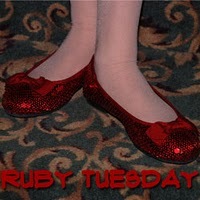 I am participating ruby tuesday, I am new in the blogger's world, and I don't know how to get your badge for ruby tuesday. tnx! A photo of hope and possiblilty and promise: a red bud ready to open.